Wanting to attract time-pressed spa-goers and create a memorable experience for others, many spas are expanding their hours and offering a host of nighttime treatments and packages. More spas are recognizing the need to be flexible and accommodating when it comes to spa-goers’ busy schedules. Says owner Julia Martin-Wrobel, “We’ve found that our clients absolutely love being able to come in later in the day to unwind.” According to her, people are busier than ever and don’t always have time for a spa treatment in the middle of the day. “I think people also want a social experience—the idea of hanging with friends while sipping wine and being pampered is so appealing to busy individuals,” says Martin-Wrobel. After dark spa experiences also appeal to spa-goers looking to add a bit of romance or celebrate a special occasion. In fact, these special spa experiences have become a highlight at many resorts. 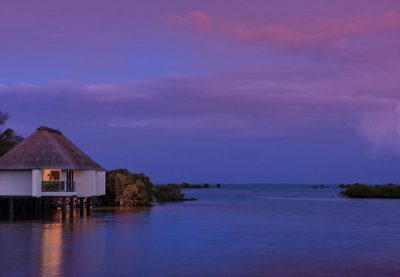 At Four Seasons Resort Mauritius at Anahita, guests can opt for the After Eight Spa & Gourmet experience ($753 per couple), which involves a 90-minute couple’s massage with candle wax blended with bergamot, rosemary, and ylang ylang oils in a private spa suite and an après-spa dinner. The time has come for after-dark spa experiences, as spa-goers find there truly aren’t enough hours in the day. What do YOU think about night-time spa experiences? Leave your opinion in the comments below!